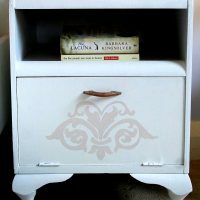 Today’s reader featured project is an awesome DIY Toy Chest with Octopus Graphic! 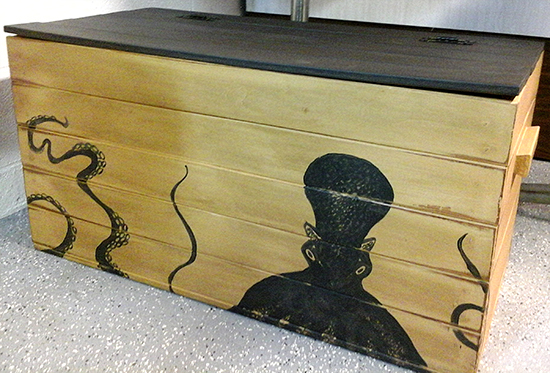 We don’t get many submissions from men, so when Carleton Nash sent this fantastic toy chest in I was really excited! 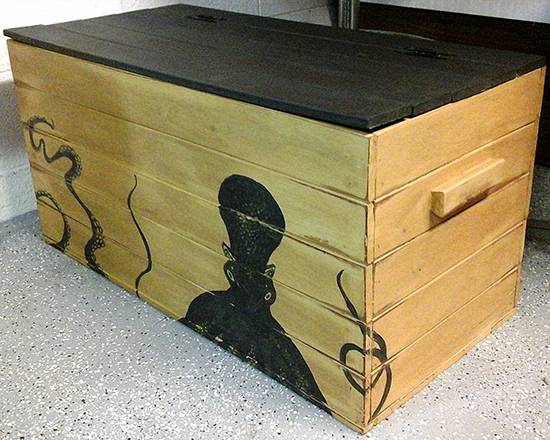 Carleton added The Graphics Fairy’s Vintage Clip Art Image – Wonderful Octopus or Cuttle-fish to an unfinished cedar chest and turned it into one of the coolest toy chests I have ever seen! I love the way he made it so the tentacles wrap around the sides. My son would have loved this toy chest when he was younger! « Berry Picking Picture – Pretty Scene!